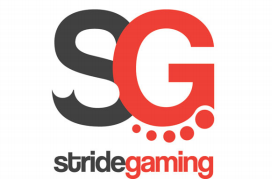 Online gaming operator Stride Gaming has launched a new B2B division, Stride Together, which will see the company offer its proprietary platform to gaming operators, media partners and retailers. The move means Stride will be able to create an online presence for customers. The first such joint venture is with UK gaming operator, Aspers Group, which plans to launch an online business in Q4. The aim of Stride Together is to create a pool of strategic partners using the company's proprietary platform as well as targeting media groups and gaming operators seeking to add revenue by offering soft gaming content. Eitan Boyd, CEO of Stride, said: “In launching Stride Together, we have created a vehicle to licence our proprietary platform to enable gaming operators, media groups and retailers to capitalise on their databases and establish an online presence. Damian Aspinall, chairman of Aspers Group added: “We are committed to converging our online and offline business streams to maximise player enjoyment, which will build Aspers into a national online brand.